Hams in the United States finally have access to the 630- and 2200-meter bands, but with strings attached. 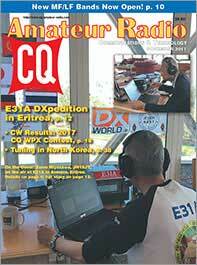 The November issue of CQ has the latest developments on these new bands - the first amateur allocations above 200 meters in more than a century! 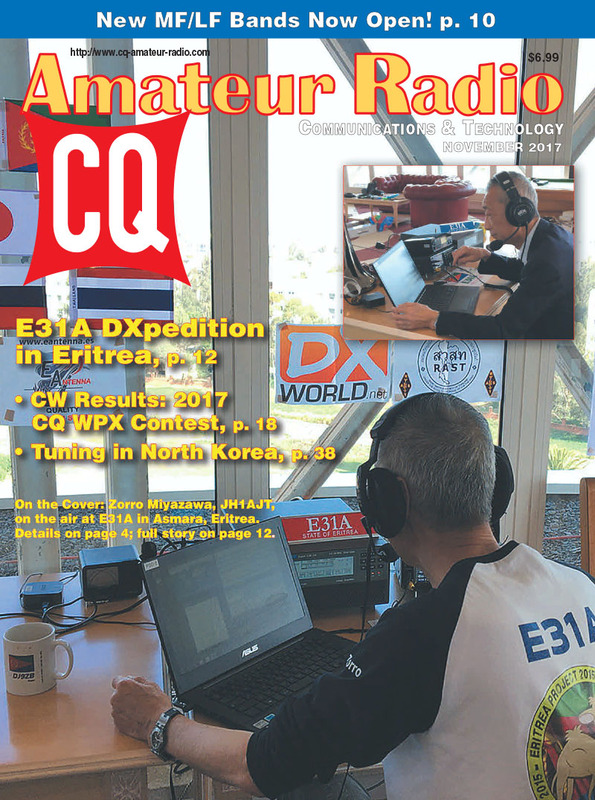 We also take you on a DXpedition visit to Eritrea, look back at hamming during colonial times on the Indian subcontinent and bring you the complete results of this spring's CQ WPX Contest CW weekend. We've also got the information you'll need to get on the air for next winter's CQ 160-Meter Contest and for the 2018 CQ DX Marathon. Among our columns this month, "Listening Post" editor Gerry Dexter updates us on times and frequencies to tune in North Korea to hear Pyongyang's take on escalating tensions with the United States. 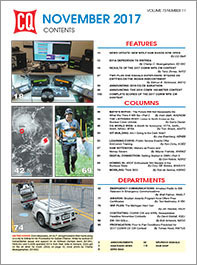 Emergency Communications Editor Walt Palmer, W4ALT, writes about the ongoing importance of amateur radio in disasters and other emergencies, and Learning Curve editor Ron Ochu, KO0Z, discusses the value of public service events in providing EmComm training and in building relationships with served agencies. 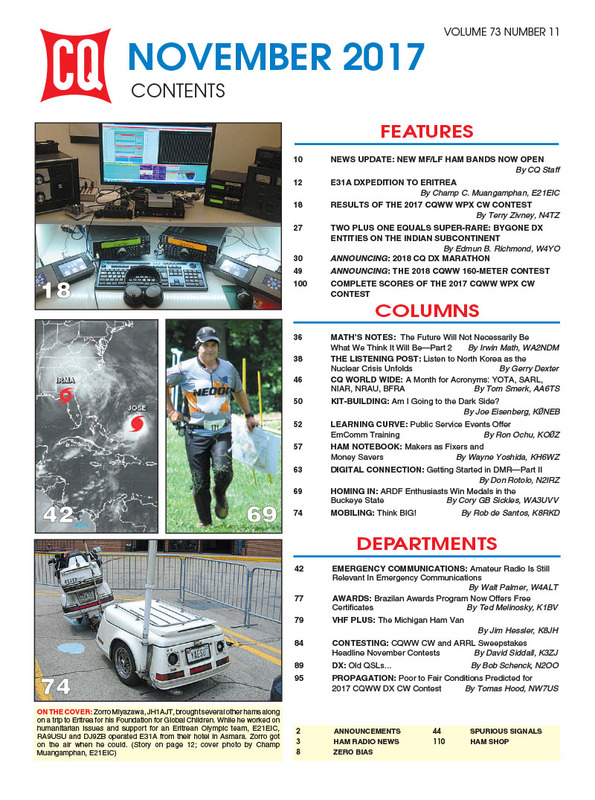 We cover the US Amateur Radio Direction Finding Championships, continue our introduction to DMR (Digital Mobile Radio) and introduce you to the Michigan Ham Van! Finally, Propagation Editor NW7US predicts only fair-to-poor DXing conditions for the CW weekend of the CQ World Wide DX Contest on November 25-26. That's a look at the highlights of the November, 2017 issue of CQ, click here to subscriber today!